This is weird. 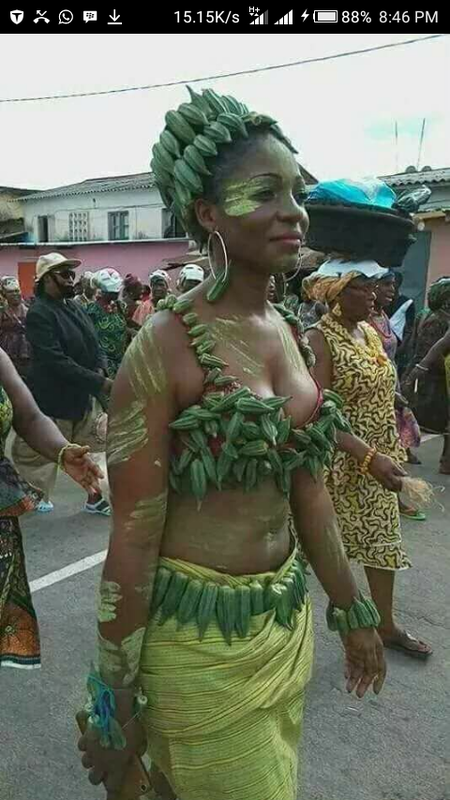 A photo which has been trending on different social media platforms -shows a smiling woman walking around in public with Okro all over her body. 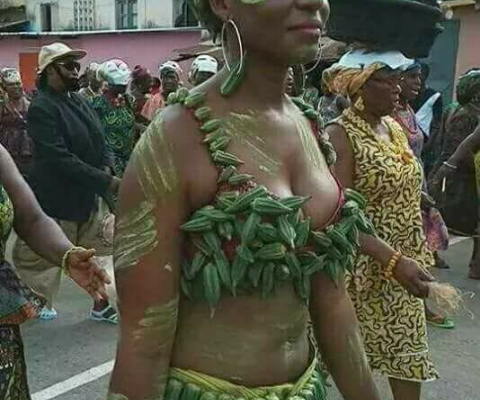 Online users are trying to fathom the reason for her unusual attire.